Allen Dean Bertels, 83, of Dorsey, IL, died at Alton Memorial Hospital, Alton, IL on Monday, January 21, 2019 at 12:42 pm. He was born July 31, 1935 at his home in Dorsey, IL to John August Bertels & Florence (Eden) Bertels. 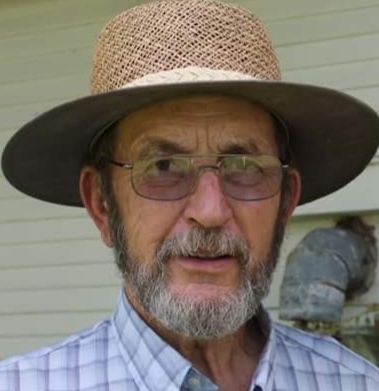 He was retired after having been a steel worker at Laclede Steel and was a lifelong farmer. Allen was a volunteer fireman for Dorsey. He was a lifelong member of the Emmaus Lutheran Church. Emmaus was his second family. He was also a member of the American Legion of Bunker Hill, IL after having been a veteran of the Army Reserves. Allen never met a stranger. He waved at every car that passed by his garden. He spent an enormous amount of energy and passion when it came to anything to do with his farm. He knew each cow personally. They knew he cared for them. Allen was previously married to Ruth Ann (Schueler) Balmer and was blessed with three children, Tim (Heidi) Bertels, Laurie (Terry) Edwards, and John (Christine) Bertels. Then Allen married JoAnn (Crites) Bertels. They were blessed with Joe Bertels, Cindy (John) Bruhn, Larry (Kim) Bertels and Dean Bertels. He is also blessed with many grandchildren and great grandchildren that he dearly loved. He will be missed by his faithful companion and favorite dog, "A". Allen was preceded in death by the love of his life, JoAnn Bertels and his parents. Friends may call on Sunday, January 27, 2019 at Kravanya Funeral Home in Bunker Hill from 2:00 pm until 6:00 pm. Funeral services are Monday, January 28, 2019 at 10:00 AM at Emmaus Lutheran Church in Dorsey, IL with Pastor David Kern officiating. Burial will be at Emmaus Lutheran Cemetery, Dorsey, IL. Memorials are suggested to Emmaus Lutheran Church. Thank you to Annette Buchanan, his son Dean and his grandson, Chase for staying with Allen so he could remain in the home that he loved. Anyone wishing to send an online condolence may do so at www.kravanyafuneral.com. Kravanya Funeral Home, Bunker Hill, IL is in charge of the arrangements.